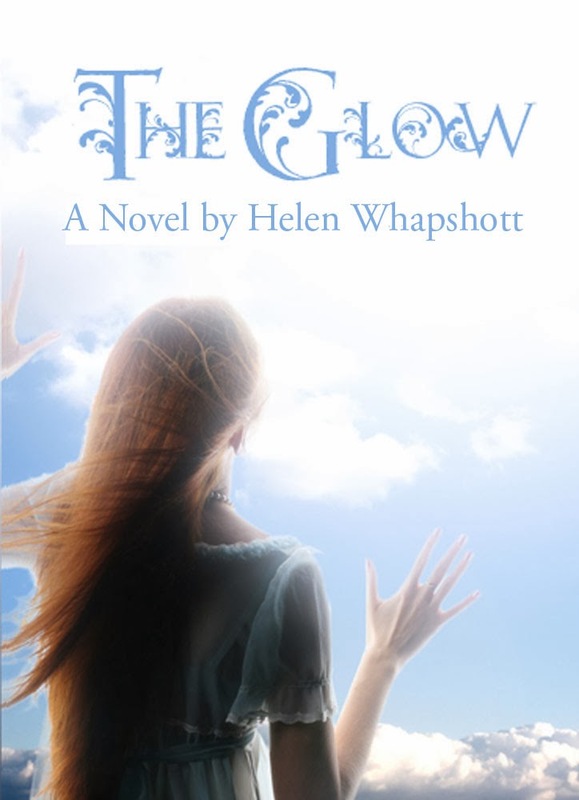 Today on Writer's Thoughts we are happy to exclusively reveal the cover of The Glow by Helen Whapshott releasing March 1, 2014. Helen was born in Aldershot (UK) in the year of 1980. She survived the infant, junior and senior schools of Cove. Helen started her working life in a bakery before deciding catering wasn’t really for her that she wanted to work in the care industry. After attending Farnborough College of Technology, where she did her diploma in nursery nursing she took on a variety of roles that included being a Nursery Nurse, a Special Needs Teaching assistant, a support worker for people with special need and a care assistant in a nursing home. She’s worked as a Health Care Assistant at a local hospital for eight years and also works as a bank carer at a children’s hospice in surrey. She has five wonderful nephews, a lovely niece, two very understanding parents and extremely patient brother and sister. Helen has always loved stories, ever since her Mum used to read Hans Christian Anderson and Roald Dahl to her at bedtime. When she learnt to read by herself she couldn’t get enough of books becoming a big fan of authors such as Arthur Conan Doyle’s, Sherlock Holmes stories, as well as Neil Gaiman and Ben Aaronovitch. What would you do if you saw a ghost? Would you ignore it hoping it would fade away, or would you go up to it and see if it needed your help? When Thirteen year old Megan Webb discovers she has been gifted with The Glow, so called because it gives off a light, like a candle in a dimly lit room attracting ghosts, spirits, and others who belong to the supernatural and paranormal world, she has to learn to come to terms with seeing the world in a whole new way. And if this wasn’t enough to deal with during the delicate years between childhood and adolescence, her parents makes the shocking decision to move her away from everything and everyone she knows to live in a creepy hotel inherited by a late aunt. But it isn’t just the hotel that is creepy, the whole town seems a little odd until she makes friends with a strange boy, a Witch, and a chain-smoking spirit guide who help her adjust. Life couldn’t get any more complicated … could it?